Over the past few years I have noticed a trend in companies and researchers looking at how the health and well-being of employees is affected by the workplace. As office employees spend a lot, if not all of their time inside a building and at their desk it makes sense that the physical environment they are confined to can influence their well-being and happiness which in turn affects their work performance and productivity. 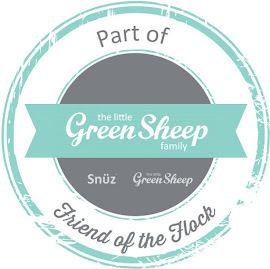 Employees who are happy and have a positive work area are more likely to be productive and perform well. Likewise employees who hate their work environment are more likely to perform poorly, not be as passionate about their work and be unproductive. 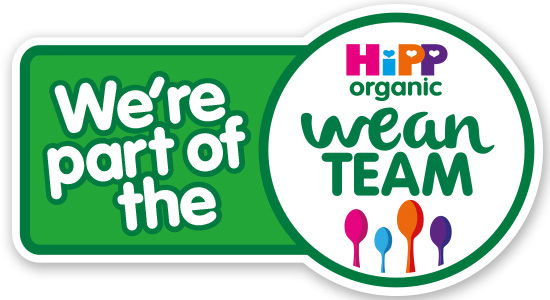 Whilst outside factors and overall happiness and well-being of an employee (which can affect workplace productivity) is not the responsibility of an employer and completely out of their control, an employer can do their best to provide a good working environment for their staff which is designed to foster productivity. 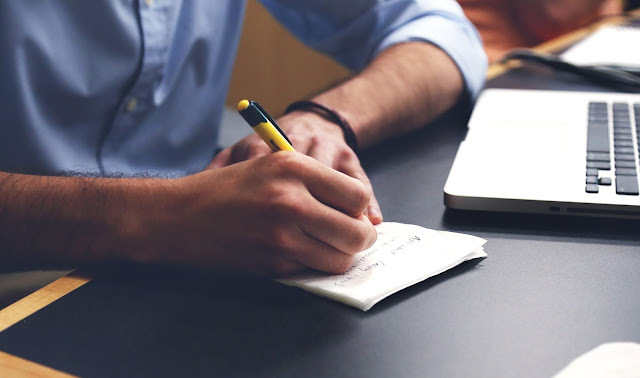 A number of things can influence a positive work environment - temperature, air quality, noise, lighting, space, quality of office supplies and office furniture. For example, incorporating both natural and artificial light provides the best balance of lighting. Dim lighting has been known to lower productivity and mood whilst harsh artificial lighting especially fluorescent lighting with no natural light can cause headaches. A bright office with plenty of natural light can help keep employees happy, focused and relaxed. Having worked in a number of offices - most of which were very poor in quality and practicality, dull and uninspiring which did have an effect on mine and my colleagues’ productivity - today I wanted to share my views and favourite picks of office furniture. With a reception area within a business being the first impressions of a company it is in my view important to create a welcoming, friendly and relaxed area that also looks professional and of high quality. Having those values in mind when designing your reception area will help convey that the company mirrors those same qualities and values. A welcoming desk and comfortable setting helps achieve a great reception area. 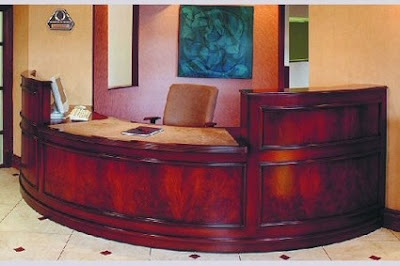 For a strong traditional and luxurious feel this Classical reception desk is perfect. 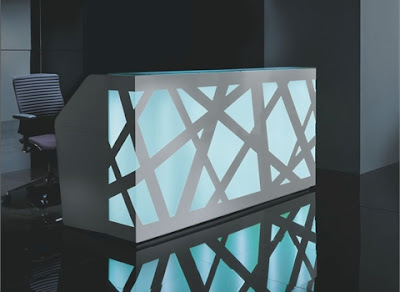 For an office with a modern style this Crystal or GLOW reception desk is a great option. To help ensure staff are happy and relaxed in the workplace it it important to provide them with comfortable office chairs. 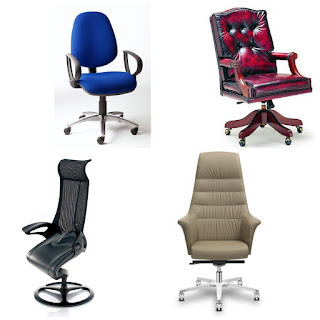 With many styles of office chairs available on the market including designer, executive and office staple operator chairs there is a design and style chair available for all office styles. 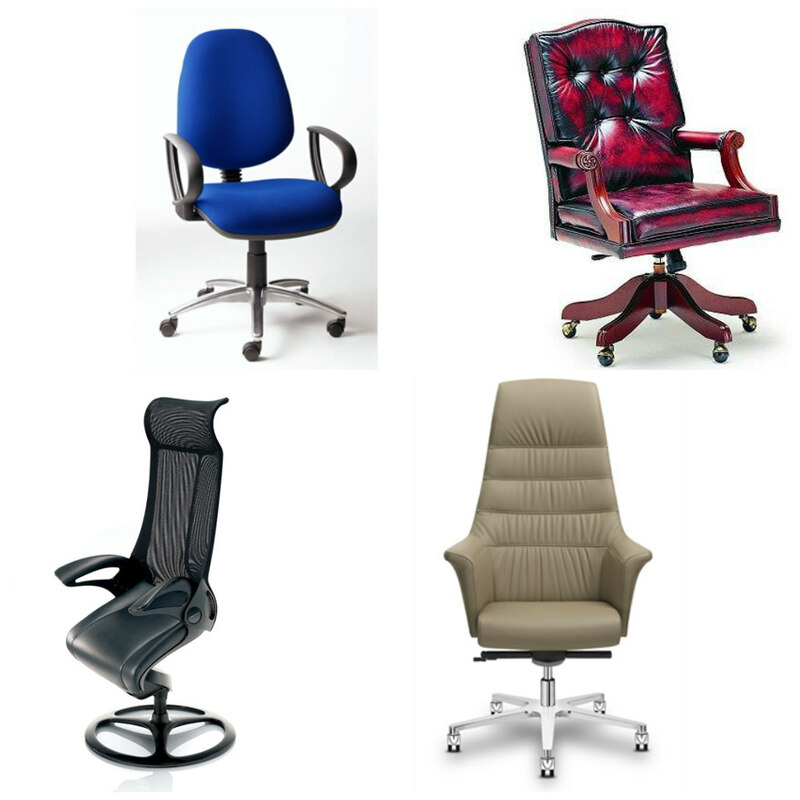 Providing a comfortable, supportive and practical office chair will help boost the staff’s well-being which in turn will improve workplace productivity. When looking for office desks the styles and designs available are very varied with options including integrated workstations, executive desks, bench desks, adjustable height, standalone desks and partitioned desks. If you want a modern design look at contemporary office furniture and for those who prefer traditional furniture considering classic office desks for an authentic traditional style. 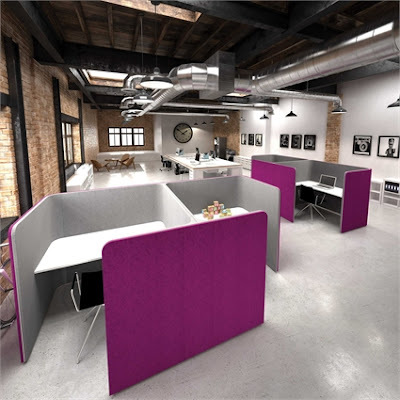 For an open office space I love this Sanctum office desk range as it provides privacy when needed whilst still offering opportunity to collaborate with colleagues. 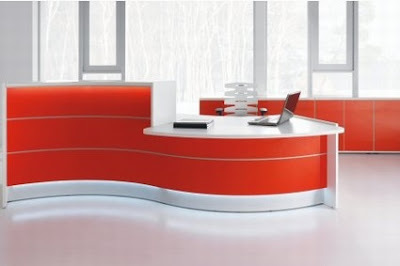 The range of styles and configurations available also provide character and a splash of colour to brighten up offices. For tips on office furniture to help productivity take a look at Calibre Office Furniture’s recent blog post about clever office hacks to boost workplace productivity - I also champion adding a touch of nature to an office to help create a relaxed atmosphere in the workplace. The imperative thing about this administration however is it gets the furnishings directly into the room where you need it. Much like truckline conveyance you can setup daily and time window with the transportation organization to plan conveyance.